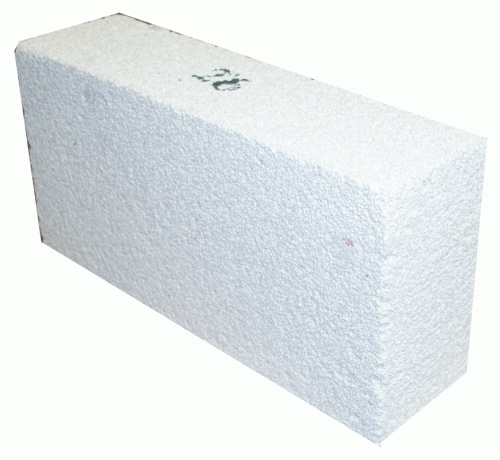 K-26 Soft Insulating Fire Bricks are a special type of brick, slightly more dense than the K-23 brick that can handle high temperatures and act as insulation. They are used as a lining in the interior of foundry furnaces, forges and ceramic kilns to keep in the intense heat. These are soft bricks that can be cut with a hacksaw to form smaller bricks or to add channels for heating elements. They can be drilled with a hole saw to create an opening for a gas burner as well. 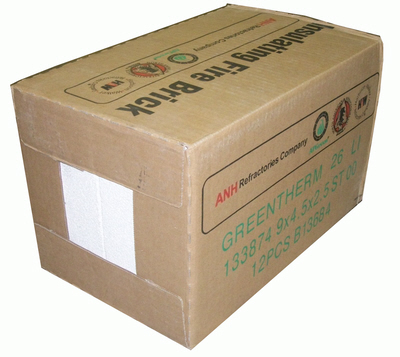 The bricks have a working temp rating up to 2600 Degrees F. which makes them the most recommended brick for high fire ceramic use. Each straight brick is 9" x 4-1/2" x 2-1/2"
Sold individually, but do come also in a case of 12.